It has a 7cm, non-locking blade which is made from top quality Toledo carbon steel (HRC 58). As the carbon steel blade is under 3" it makes it an ideal knife that is legal to carry in your pocket at all times with justifiable cause when you are in the UK. It has an Olive wood handle so each knife is unique with the patterns and level of grain in the wood. Advantages: 7cm blade making it UK legal. Carbon Steel blade therefore easier to sharpen than stainless steel. Disadvantages: Carbon Steel blades need to be sharpened more often than stainless steel blades as they do not hold their edge so long. Carbon steel blades are more prone to rusting than stainless steel. Great little easily sharpened knife at good price. 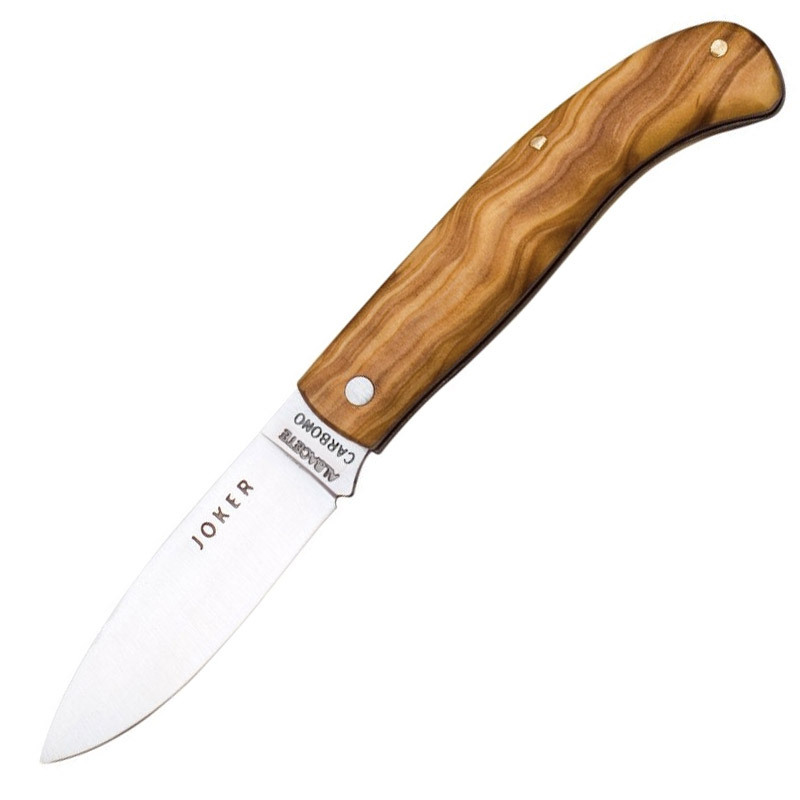 I have used this knife before and it is quite frankly unbeatable as a pocket knife that is beautifully made and can be sharpened, as well as being strong and light in the pocket. Without doubt, 5 star!